Would you let your child have a tattoo? Here in Malaysia some twenty years ago, tattoos are not common, in fact rare, and certainly not on a woman. Tattoos were associated with triads in the eyes of the Chinese community. But these days, you see tattoos everywhere. Men have them, women have them too. 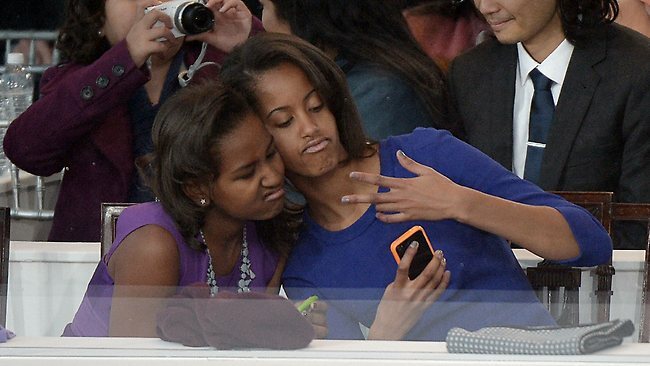 Teens, not yet, I think. What would you do should your teen ask for a tattoo? Would you allow it? If you are not keen on it for your teen, here's a cue from US President, Barack Obama. US President Barack Obama has a strategy to discourage his daughters from rebelling, perhaps by getting a tattoo himself. Mr Obama commented in an interview taped last week and broadcast yesterday on the US Today show. 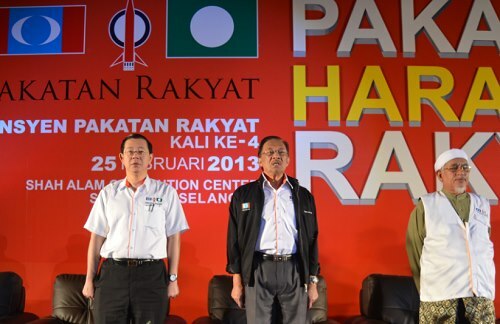 Malaysia is prepping for the closest-fought general election since independence in 1957. On May 5, Malaysians will go to the polls for the 13th time thus this election is referred to as GE13. Campaigning could only begin after Nomination Day which was on Apr 20. Ceramahs (political rallies) are being held everywhere though I've yet to attend one. Based on inputs from friends who have attended (and from YouTube), I'd certainly pick an English ceramah to attend as the slurs and jokes come out better in English. Oops! Even the facts and figures come out more right than wrong in English. Oops, again. No offence to anyone. Everywhere you go in the country, there would be political flags, buntings, posters, the works. 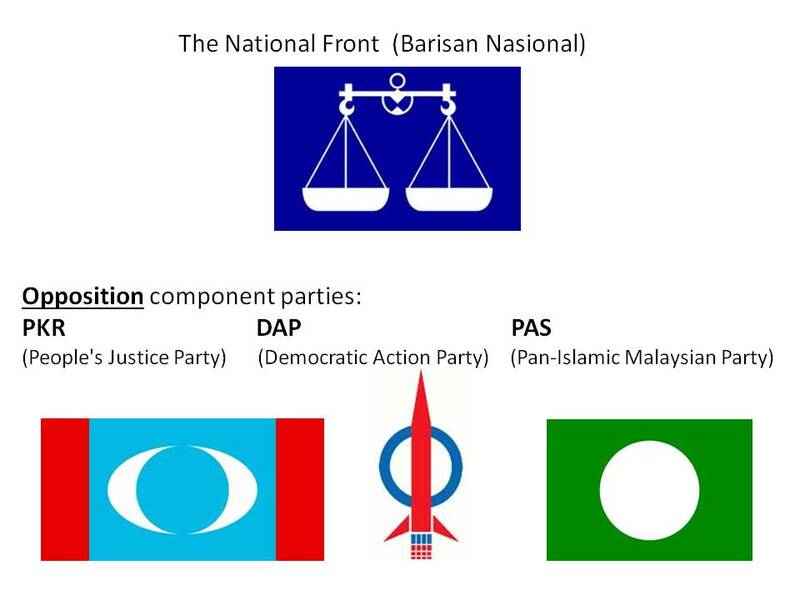 The main parties vying for a bigger slice of the Malaysian pie are these parties in the image below. Some constituencies are seeing six-corner fights! 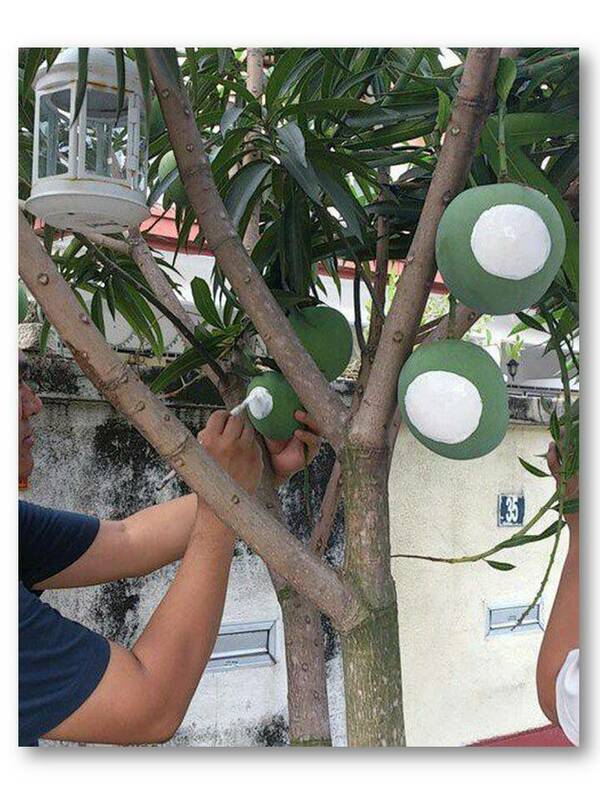 Even mangoes are getting into the act. No prizes for guessing which party the mango tree owner is rooting for though. Yes, mangoes are in season here right now, or close to ripening for the picking. The type you see in this image is of the apple-mango variety. Mari lah mari, mari mengundi.. Source of mango picture unknown. Two days ago, it was reported that a 53-year-old Taiwan businessman has contracted the H7N9 strain of bird flu while travelling in China. This is the first reported case outside of mainland China. Malaysia too had a death of a woman with quite the same symptoms early this month which caused some jitters but more of that later. So far, there is no evidence of human-to-human transmission in the case of the H7N9 flu. Transmission is from bird to human though some infected patients were nowhere around poultry when they contracted the flu. Here is some information on what we need to know about the H7N9 flu. - It's "one of the most lethal" strains of bird flu scientists have ever seen. - A World Health Organization expert says the virus transmits more easily to humans than another deadly flu strain that appeared in 2003. - It's still evolving. Influenza experts say it's probably still swapping genes with other strains, potentially making itself stronger. - If it succeeds, the world could be facing a deadly flu pandemic. But like other flu viruses, it may also fail and just fizzle out. - It doesn't seem to sicken poultry, however. This alarms scientists, leading them to believe it's been silently spreading in the bird population. - So far, evidence shows it's not spread from person to person, according to the WHO. - In early April, China shut down live poultry markets in many affected regions. This slowed the virus' spread almost immediately. - Thousands of ducks and chickens have been killed, though officials didn't order wide-scale slaughter of poultry. - Airports in Asia set up stricter controls: Taiwan will test travelers who show flu symptoms. Vietnam is screening temperatures of all visitors. Starting in May, Japan will make "thermographic inspections" of all travelers from China. - Poultry imports from China are banned in Vietnam and the Philippines. Other countries are considering restrictions. - The U.S. Centers for Disease Control and Prevention is prepping a vaccine, just in case. - Stay away from live poultry in China — not only chickens but ducks, geese, pigeons, etc. - If you have symptoms or come in contact with someone who has the flu, follow the CDC's advice to prevent its spread. And see a doctor as soon as you feel sick. "This is definitely one of the most lethal influenza viruses that we have seen so far," said Keiji Fukuda, the World Health Organization's assistant director-general for health, security and the environment, told a news conference Wednesday in Beijing.. The H7N9 strain was never known to infect people until March. Before then, it was only found in birds. If the virus does start to spread easily between people, it could trigger a pandemic. In normal cooking temperatures -- so all parts of the meat reach at least 158 degrees Fahrenheit (70 degrees Celsius) with no "pink" -- the virus would be inactivated, including in poultry and game birds. Generally, eating raw meat is discouraged anyway, as doing so can lead to a variety of foodborne illnesses. You should not, however, eat diseased animals or animals known to have died from diseases. The CDC is not advising against traveling to China, but travelers who go there should refrain from touching birds and other animals and wash their hands often. "Anyone with fever, coughing or shortness of breath within 10 days of traveling to China should see a doctor and tell the doctor about the recent travel to China," the CDC said on its website. In Malaysia, the Health Ministry has issued a Press Release clarifying on a case of Legionella virus infecting one person in the country. The patient, a 40-year-old woman died on Apr 5 2013 due to the severe broncho pneumonia with Adult Respiratory Distress Syndrome (ARDS). Initial investigation showed that there was another case admitted to a private hospital on 10 April 2013 and discharged on 13 April 2013 with a diagnosis of acute exacerbation of bronchial asthma. Patients tested positive for legionella and negative infections for influenza A (H1N1), dengue fever and leptospirosis. There are 2 more hospitalized cases respectively on 17 April and 18 April 2013. Both were discharged in good health after a few days of stay in hospital with their diagnosis - were caused by acute tonsillitis and acute exacerbation of bronchial asthma. Both of them were negative for legionella, influenza A (H1N1), dengue fever and leptospirosis. Some information about Legionnaires' disease or Legionellosis..
Legionnaires' disease (LEE-juh-nares) is caused by a type of bacteria called Legionella. The Legionella bacteria are found naturally in the environment, usually in water. The bacteria grow best in warm water, like the kind found in hot tubs, cooling towers, hot water tanks, large plumbing systems and decorative fountains. However, they do not seem to grow in car or window. air-conditioners. The bacteria are not spread from one person to another person. Read more about Legionnaires' disease - causes and transmissions, signs and symptoms, etc. Friday Frolics - How Does Your Cookie Crumble? 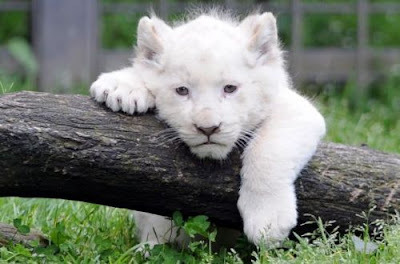 Aah, it's Friday again, time for a breather and a coffee and a cookie, perhaps? This week's personality quiz is about cookies and your first bite on which cookie can tell something about you. Take the quiz to find out a little bit more about yourself..
You may not feel like the most adventurous person in the world, but you really are quite daring. You are willing to give most things a chance, and you dread getting stuck in a routine. You're the first of your friends to try a new trend - whether it's food, travel, or fashion. You don't fear not liking something. Even if you try something and hate it, at least you experienced it! 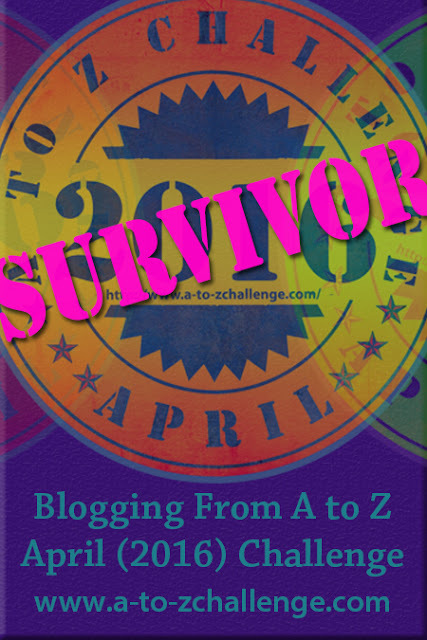 More Fun Quizzes and Tests, Oh My! Last Week's Quiz: Are You A Sheep? Anyone who has had to clean a gutter would know how difficult the task is and what it entails. Gutter-cleaning can be dangerous too if you are living in a 2-story house. Having a gutter installed may be the easy part. The maintenance part of cleaning it to clear clutter is a completely different story altogether. Not only does a homeowner have to contend with clutter of leaves and twigs, birds and pests such as possums and rats may add to the problem. Advancement in gutter designs has made maintaining gutters a much simpler affair, more accurately, a thing of the past. A gutter guard is all that is needed to protect a gutter from being clogged with leafs and other debris, as well as preventing birds and pests from entering your roof space. A Leafbusters Gutter Guard ensures a maintenance-free gutter all year round. 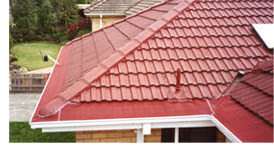 Not only that, properly installed gutter guards improve the look of the house, beautifying it even. Leafbusters gutter guards come in a variety of colours to complement the colour scheme of the house. There is even one type that is fire-retardant. Leafbusters gutter guards are 100% Australian made from design to manufacturing. 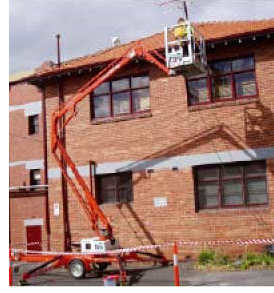 If you are in Australia and are considering a gutter guard system and a proven gutter protection company, you are at the right place. Leafbusters provides a free quote and that could be the start of years of trouble-free living! If you are in Melbourne, Leafbusters' Gutter Guards Melbourne team will be available and ready to assist you. Living in Brisbane? Their Gutter Guards Brisbane team is equally competent and professional in providing the high quality service you would expect. Contact them for a free quote or for information about this award-winning gutter protection system. You would be glad you did! 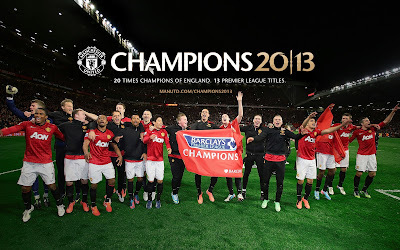 Manchester United are already the Champions 2013 of the Barclays Premier League with four games still to play. 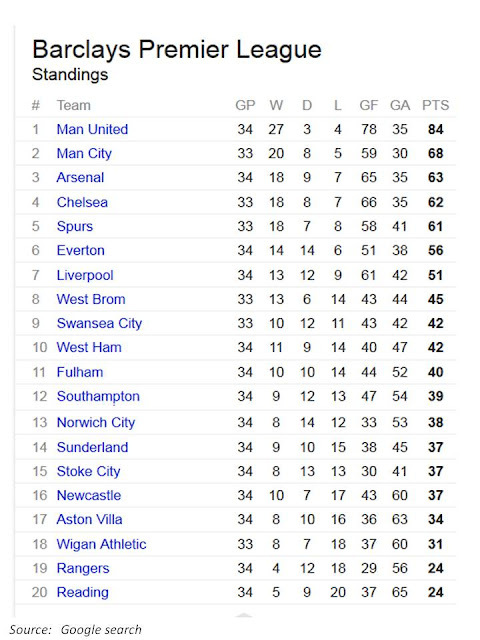 There is a chance of surpassing the 91 points gathered by the then-record breaking 1999/2000 title-winning team, and Chelsea’s current record 95 points set in 2004/05. 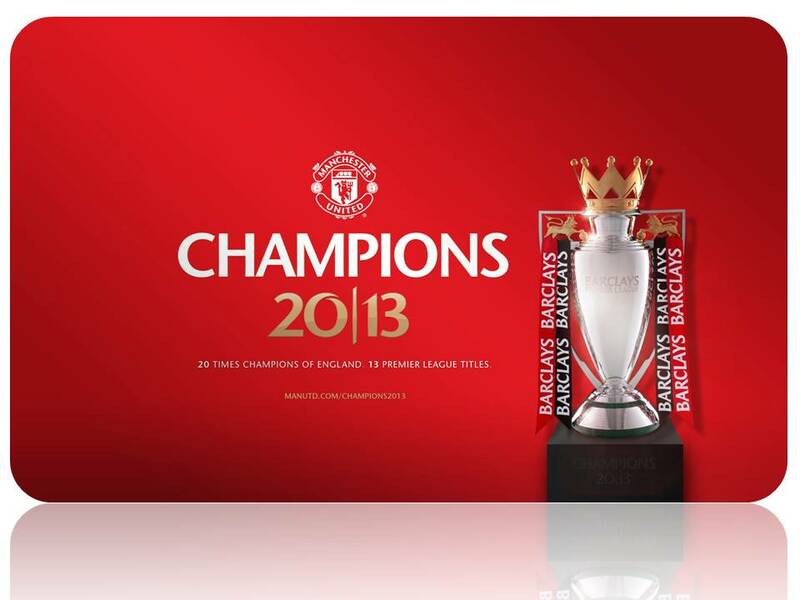 This is Manchester United's 20th title of the Premier League. 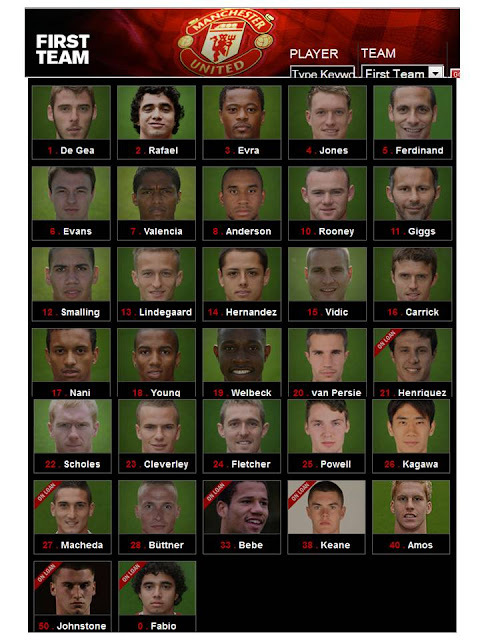 Incidentally, Robin van Persie wears number 20. There's talk that he may be wearing number 21 next season. Sunday's game will be with Arsenal at the Emirates stadium in which Arsenal will be providing a guard of honour for the visitors. Reluctant Arsenal players are expected to give newly crowned champions Manchester United — and their former captain, Robin van Persie — a guard of honour when they meet at the Emirates Stadium on Sunday. A guard of honour is a tradition in games involving teams who have just won the title. Privately, a number of Arsenal players have expressed objections towards the gesture, particularly in front of their own supporters, but it is understood it will still go ahead. Arsenal’s pain will be offset by a £1.5million bonus they will receive due to a clause inserted in Van Persie’s contract when he signed last summer. The clause was activated when United won the title. Old Trafford erupted in scenes of joyous celebration on Monday night as the Reds beat Aston Villa 3-0 to clinch a 20th league title. The fans weren't the only ones celebrating, though. After two victory laps on the pitch, Sir Alex's men headed into the dressing room, sprayed champagne and sung victory songs. 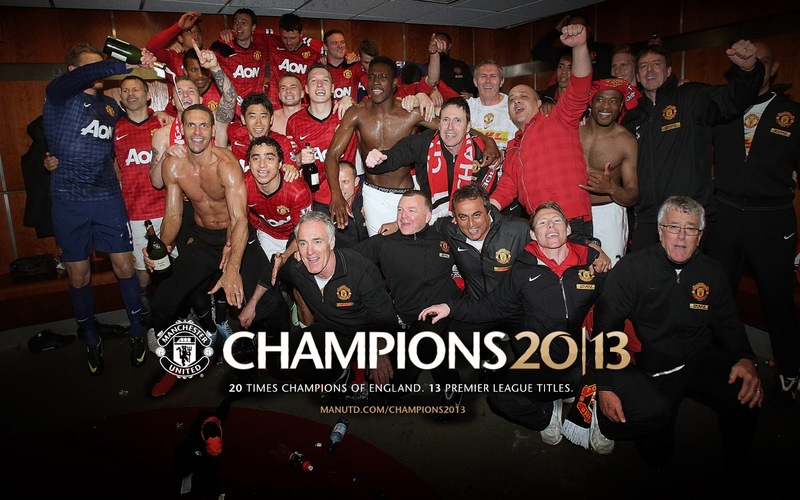 The club's official TV channel, MUTV, were granted exclusive access to the scenes. Here is where you can watch the Dressing Room Celebrations. Robin van Persie Celebrates. All three goals scored by him in the 2', 13' and 33-minute mark. A look at Manchester United's First team players..
and here's the Man, the force that drives the Champions, Sir Alex Ferguson. 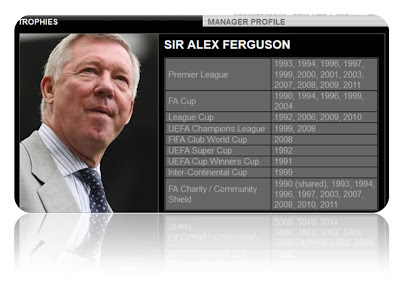 Sir Alex Ferguson is the most successful manager in British football history – winning more than 30 trophies during his time in charge of the Reds. 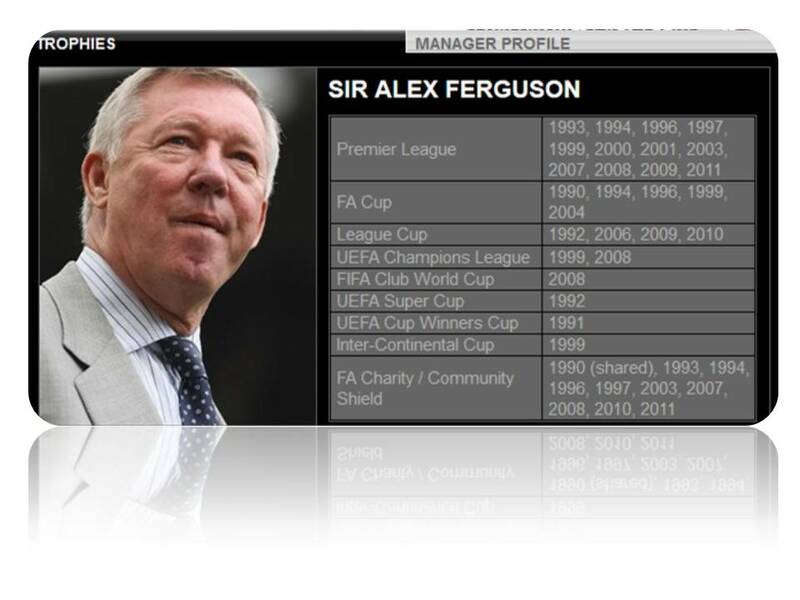 Yet despite more than two decades at the United helm he remains focused on increasing that tally, bringing yet more silverware to Old Trafford. 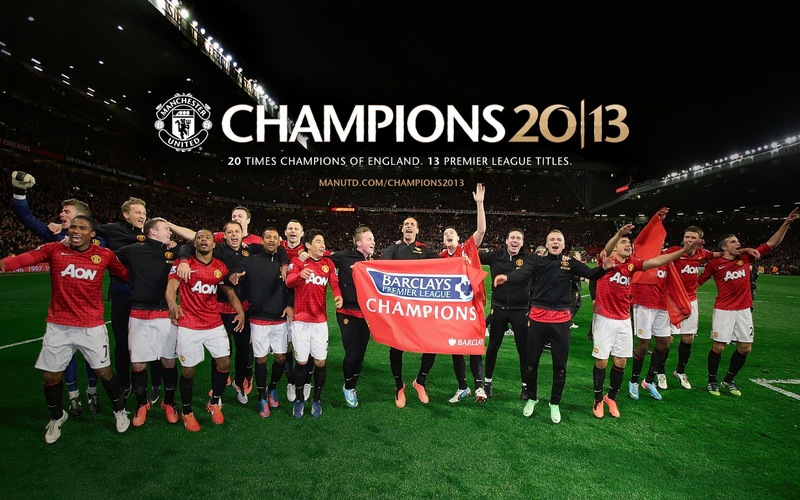 More..
More news, features and videos on Celebrating United's Success 2013 available in the Manchester United's Champions 2013 section. Prize-giving/trophy-lifting will be on May 12 @ 11pm (Malaysia time) after their last home game at Old Trafford. MU will play Swansea City. We are the Champions, my friends.. 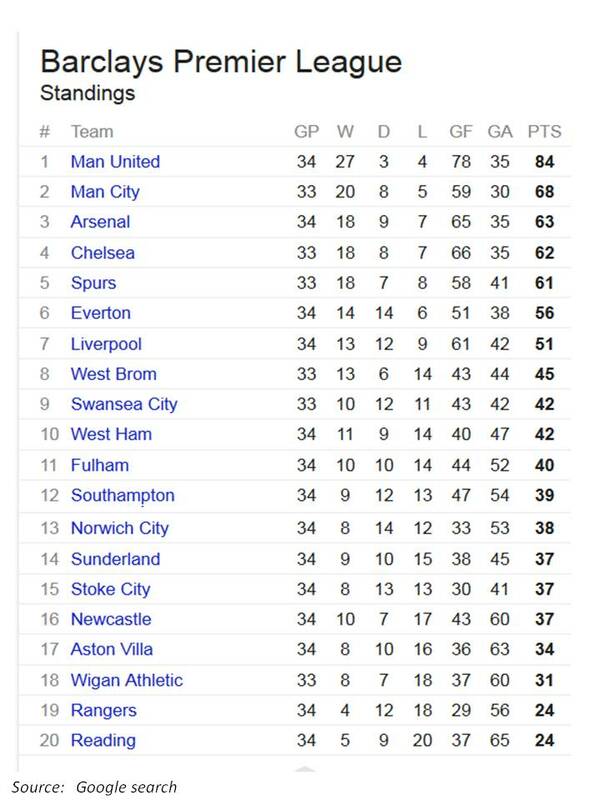 In case you are interested, here's the current Barclays league table standing.. Here is a new twist to an old General Election "anthem" which we only get to hear once in five years. You read it right. The song is only aired during the days leading up to the polls. Mari Mari Mengundi (literally means to cast your vote) is a catchy number that was composed in one of the general elections way back when and this year, the Elections Commission has it revived in a new joget tempo - good for the dance floor, actually. Give it a listen to see if you like it too. Remember, the date is May 5! New Zealand, "land of the long white cloud", is a beautiful country to visit. I know. I have been there, both North and South Islands. Auckland is usually the city that a visitor flies into when visiting New Zealand. The Auckland metropolitan area, in the North Island of New Zealand, is the largest and most populous urban area in the country. 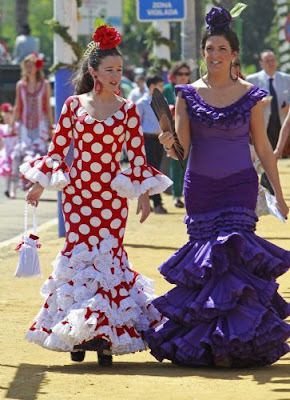 It has close to 1.4 million people which makes up 32 percent of the country's population. Though covering a huge area, Auckland is easy to get around and getting from the airport to the hotel is not a hassle either as auckland airport rental cars are readily available. Car rentals come with rates from as low as NZ19 a day. 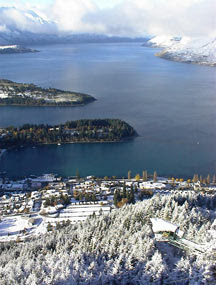 Queenstown in South Island is not to be missed if you are planning to visit New Zealand. Seeing is believing how spectacular the city is. A Queenstown Apartment is an ideal choice of accommodation especially when you are travelling in a big group or with your family. An apartment provides the comfort and convenience of a home in which you can do your laundry and your cooking. That way you save time from having to go out looking for food in addition to having the luxury of home-cooked meals. Also, cooking your own meals can mean savings to spend on something else. There is more to gain from staying in an apartment. Today, April 22, is Earth Day. 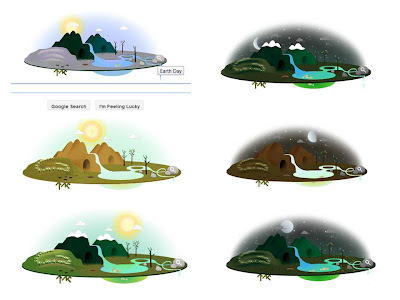 Google commemorates this important day for Mother Earth with an interactive doodle that features the sun alternating with the moon moving across the sky in a set of day and night images. Just go to the Google search page to view. Earth Day is an annual day on which events are held worldwide to demonstrate support for environmental protection. 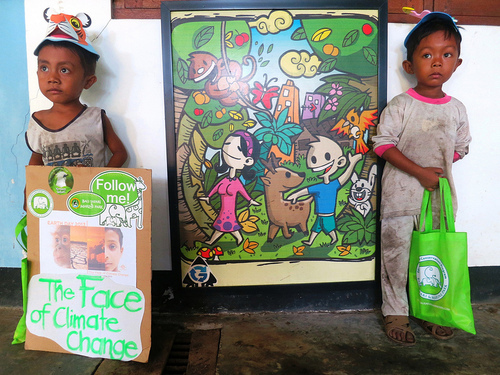 Earth Day is observed on April 22 each year and is celebrated in more than 192 countries every year. 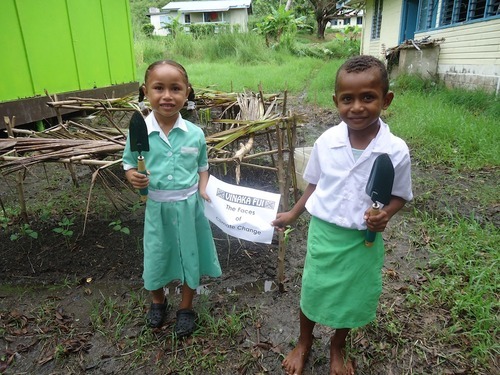 What are people doing across the world for the environment in The Face of Climate Change? Let's take a quick tour of activities nearer home. In Singapore The Face of Climate Change is community clean-ups and environmental activism. 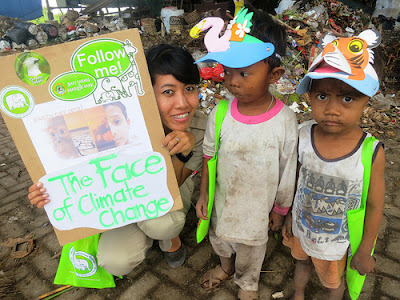 In Bali, Indonesia, The Face of Climate Change is youth environmental education. 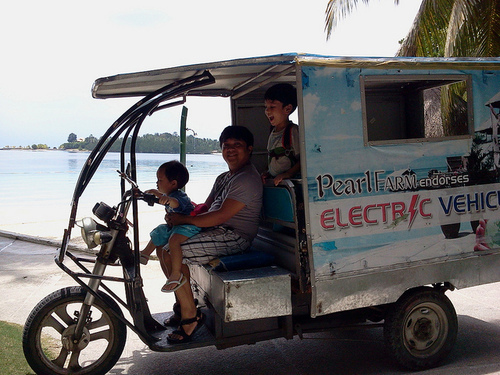 The Face of Climate Change is green transportation choices in the Philippines. The faces of climate change in Fiji. 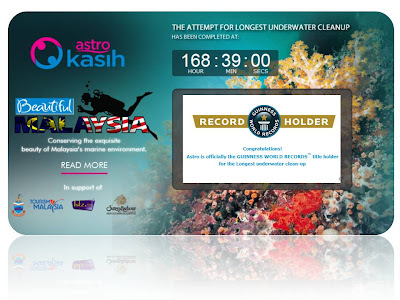 In Malaysia, Astro Kasih organized the Longest Underwater Cleanup for the Guinness World Record time of 168 hours and 39 minutes. 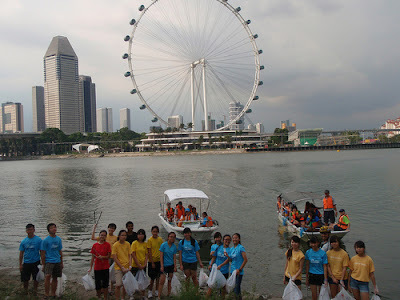 Read about the effort to conserve the exquisite beauty of Malaysia's marine environment. and more initiatives across the globe on The Face of Climate Change page where you can upload your photo on what you and/or your community are doing or have done for the environment for Earth Day 2013. 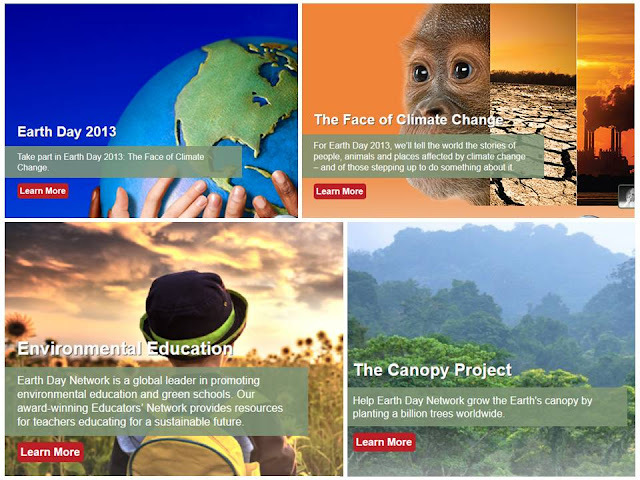 To know more about Earth Day, visit Earth Day Network. Just want to share a few pictures that caught my fancy from The Star gallery. You know Spring is here. Enjoy.. Doesn't he look just so adorable? 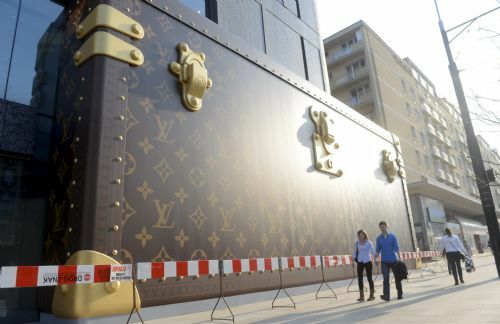 A new Louis Vuitton store in Poland..
McDonald's is once again giving away FREE burgers! 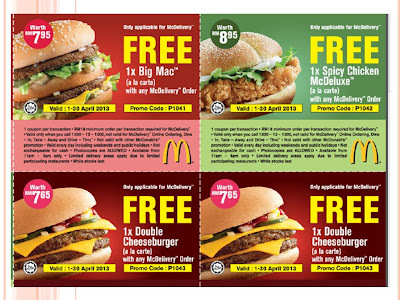 Up for grabs include Big Mac, Spicy Chicken McDeluxe ad Double Cheeseburger. Get your free burger from McDonald's with a minimum RM18 McDelivery order over the phone. 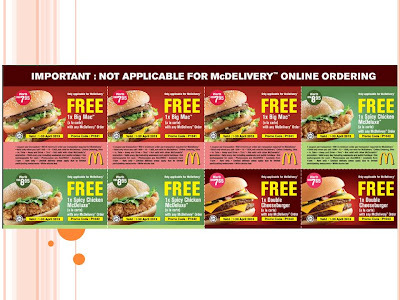 The McDelivery Mega Giveaway is valid from 1-30 April 2013. 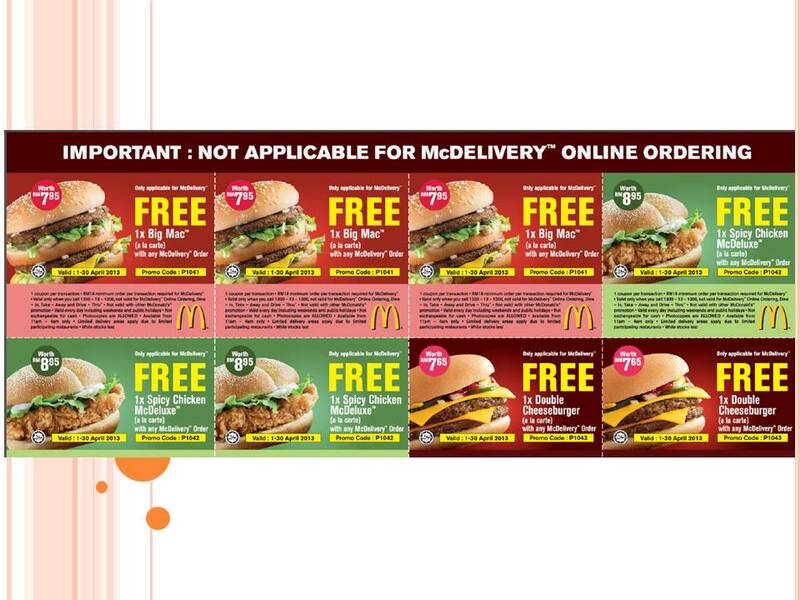 Coupons as per image below can be downloaded from the McDonald's website. Step 4 - Enjoy your FREE item! 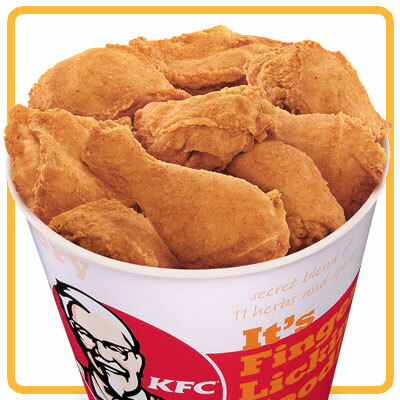 But if you fancy a KFC meal instead, check out the KFC offer of a 20% discount on their barrel and bucket meals. Are you a Sheep? There is no right or wrong answer to this, of course. We all do what feels comfortable and right. Take the quiz to find out a little bit more about yourself. In recent years, there appears to be more pharmacies here in Kuala Lumpur, more than the regular few that have been operating all these years. This is good as it provides better access and wider choice to prescription drugs though understandably not every drug is available on the shelf. The Internet has also provided another avenue to purchase desired pharmaceutical drugs. As with shopping for other products, online shopping for drugs can result in savings. Take Klonopin for instance. If you can't find it at the pharmacy in your area, a good source would be from an online pharmacy. You can visit this website to check out the price. The site is easy to navigate with appropriate categories to enable you to easily locate what you need. A little about Klonopin (clonazepam). Klonopin is generally used to treat those who suffer from panic disorders or seizures by working to control brain chemicals responsible for balance and anxiety. It has been advised that patients should check with their doctor before beginning treatment on this medication in view of possible severe side effects that may require hospitalization. People with liver disease, asthma or who have allergies to certain drugs or are pregnant should get their doctor's advice. If you are already on Klonopin from a doctor's prescription, here is another source on where to buy klonopin medsindia.com for a better price. Speaking of a better price, online shopping could save you a substantial stash if you require a regular dosage of whatever prescription drugs or food supplements - http://medsindia.com is where you'd want to go shopping at for the best prices and quality. 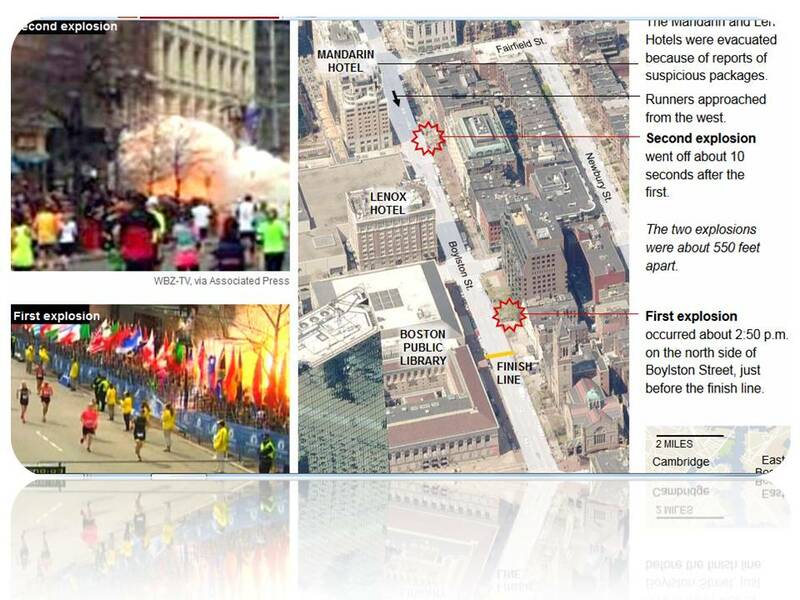 From talking about the Boston Marathon and China Silk Road, let us get back to Malaysia. Chicken is a popular food here in Malaysia as it transcends race and religion. If fried chicken forms a good part of your meals, particularly KFC fried chicken, here is a deal not to be missed. KFC is offering a 20% discount on their bucket and barrel meals. The offer, which started from April 9 is scheduled to end on April 30 or extended up to Polling Day if the latter goes beyond April which we now know is on May 5. The 20% discount only applies from 9.30pm till the stores close for the day. Sigh..
Ahmad Zaki, managing director of QSR Brands (M) Holdings, which operates KFC Malaysia, said the promotion is to show KFC's support for Malaysians during the electoral period. “The promotion is to cater to the people's needs, particularly those who will be working around the clock during the campaign and election period,” he said. 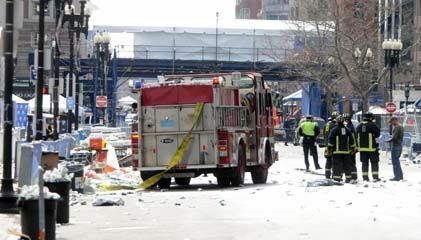 What started out as a celebration at the Boston Marathon turned into a bloody scene of destruction as two simultaneous explosions ripped through the crowd at the finish line killing two people and injuring dozens on a day when tens of thousands of people pack the streets to watch the world famous race. Among the two killed is an 8-year-old boy. It was also Patriot's Day, commemorating the opening battle of the Revolutionary War. The Boston Marathon has been held on Patriot's Day, the third Monday of April, since 1897. 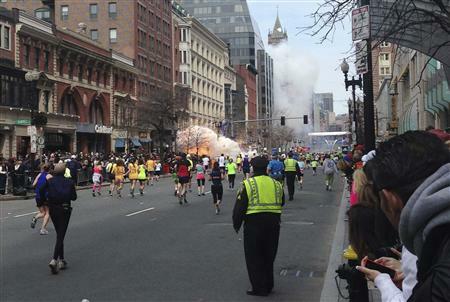 The event, which starts in Hopkinton, Massachusetts and ends in Boston's Copley Square, attracts an estimated half-million spectators and some 20,000 participants every year. The Boston Symphony Orchestra cancelled Monday night's concert and the National Hockey League's Boston Bruins cancelled their home game against the Ottawa Senators. Earlier on, Ethiopia's Lelisa Desisa and Kenya's Rita Jeptoo won the men's and women's events, continuing African runners' dominance in the sport. Hospitals reported at least 134 people being treated, at least 17 of them in critical condition and 25 in serious condition. At least eight of the patients are children. Doctors are "pulling ball-bearings out of people in the emergency room," the expert said, suggesting the bombs were designed to propel shrapnel. The other day, I mentioned about family members signing up (and paid for) for a tour of Shanghai and surrounding cities in October and my contemplation on whether to join them. That was ten days ago. Over the weekend, a girlfriend said her girlfriend will be going on a Silk Road package tour middle of next month. Horrors! There is no turning back now as everything has been paid for. She assured that they will not be anywhere near Beijing or Shanghai, if that's helpful. China is a popular travel destination for Malaysians particular the Chinese community, many of whom speak and write the language and who may still have relatives in China. Family relations aside, China is still a fascinating country to visit. Malaysia is right now heading towards the polls so we see more news coverage of matters concerning politics and none or very little of this new bird flu, the H7N9, of which infection is currently found concentrated in eastern provinces in China. Here, this could be a case of no news is good news, perhaps, but it is still good to have current update on this flu that health authorities fear of it becoming pandemic should the virus become transmissible human-to-human. As of now, there is no human-to-human transmission reported. Beijing confirmed that a 7-year-old girl has H7N9 avian influenza and Henan province reported its first two cases, opening a new front in the spread of the virus in the world’s most populous nation. Shanghai said today two people infected with the strain of bird flu died, taking the country’s death toll to 13. The city also reported three fresh infections today while the eastern provinces of Jiangsu and Zhejiang also confirmed new cases, raising the national tally to 60 from 49 yesterday. After Gangnam Style, what next? Psy has finally unveiled his new video for his new single, Gentleman. South Korean pop star Psy unveiled Saturday the hip-swinging dance and music video for his new song, aimed at replicating the global success of "Gangnam Style" and its famed horse-riding dance. The singer showed off the much-anticipated dance moves - a simple swaying, grinding hip movement - at a promotional concert in Seoul. The long-awaited video, released a day after the new single "Gentleman" hit online stores worldwide, was posted on YouTube shortly after the concert which was streamed live on the video-sharing site. "Gentleman" went straight into the top five of the iTunes charts in South Korea and other Asian markets like Singapore, Hong Kong and Malaysia, but could only manage 90th spot in the crucial US equivalent. In Britain, it rose quickly to number 25, but elements of the British music press were scathing in their assessment. "Like a seven-year-old on a Casio," was the judgement of the Times newspaper, while the underwhelmed Guardian critic called it "a fairly standard issue, pop-dance single". I still prefer Gangnam Style - which, btw, is still the most-watched YouTube video of all time, registering more than 1.5 billion views since it debuted last July. Gangnam Style is a satire on the luxury lifestyle of Seoul's upscale Gangnam district, which incidentally is where Psy and his family live. Gentleman, the song is not as catchy and the video sillier. Oh well, it's just a video. 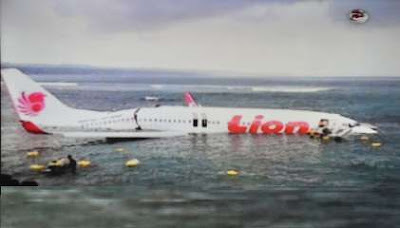 A passenger jet operated by budget airline Lion Air was earlier reported to have missed the runway in Denpasar, Bali. 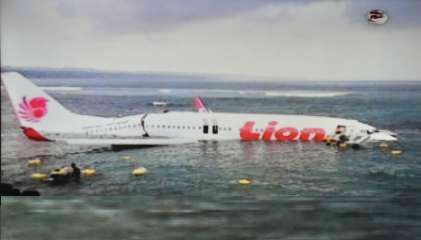 It was later correctly reported by the authorities that the plane had in fact landed in the sea as it was coming in to land. 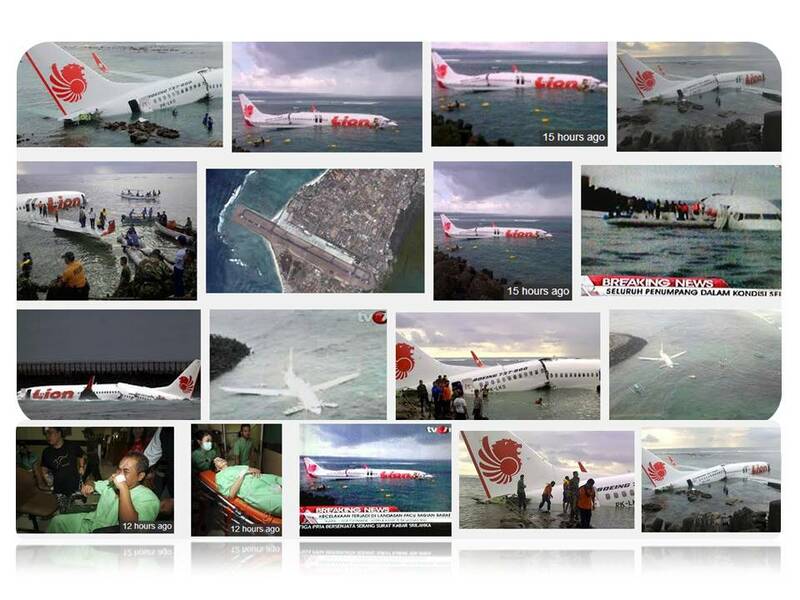 Everyone onboard survived. 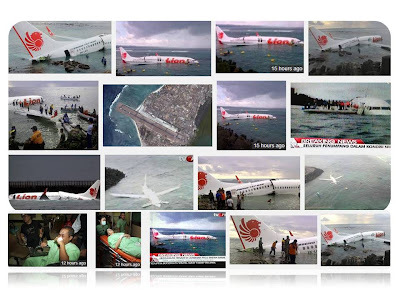 From the image, you could see the plane partially submerged in the water with inflatable slides deployed from the front exits and a large crack in the fuselage towards the rear of the aircraft. Passengers in life jackets could be seen in the water. The plane, a Boeing 737-800 was carrying 101 passengers and seven crew members - including 95 adults, five children, and one baby. It was not immediately clear how many people were injured in the incident or what the nationalities of the passengers were. Lion Air, a little-known carrier launched 13 years ago with just one plane, has in recent times struck two of the world's largest aircraft orders in a staggering $46 billion bet on Indonesia's air transport boom. France announced last month that Indonesia's fastest-growing airline had agreed to buy 234 medium-haul A320 jets worth $23.8 billion (18.4 billion euros) from European aerospace giant Airbus. It came after Lion Air astounded the industry with a $22.4 billion deal for 230 Boeing 737 airliners, inked in 2011 as a visiting US President Barack Obama looked on. Bali is a hugely popular holiday destination, welcoming millions of foreign tourists from around the world every year. I stumbled upon this old rosy article on Malaysia Chronicle titled: If Pakatan Rakyat wins.. I said rosy because the article does paint a very positive scenario for the people should the Opposition win the forthcoming general election (GE13) on May 5. Life would be a lot more promising for Malaysians. This is hypothetical, you understand, but it could happen. Take a look..
Oh yes, under a Pakatan Rakyat government your life will be transformed. The highways that you travel on would be toll-free, even the petrol that you need to feed your engine would cost lesser, while you could get a new set of wheels at half the price. Good riddance to that old worn out junk starting to fall into pieces. Even your children’s education will be funded by the state. So with more spending power Malaysians can afford a better quality of life, without having to be indebted up to their noses. The 1Malaysia Privilege Card to be given to all Malaysians would become a joke, as everyone would already be enjoying lower prices that come with their own credit cards in the future. It has been said that this election is the Mother of all elections. Make you vote count for a better Malaysia! Congratulations to the proud parents - Lee Chong Wei and Wong Mew Choo! KUALA LUMPUR: World No. 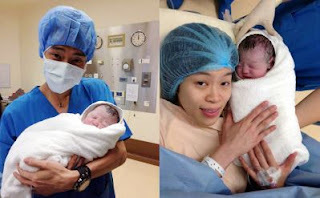 1 shuttler Lee Chong Wei and his wife, former national badminton player Wong Mew Choo, became the proud parents of a bubbly baby boy - Kingston Lee - on Friday. Mew Choo delivered Kingston by caesarean section at 1.36pm at the Gleneagles Hospital in Jalan Ampang. 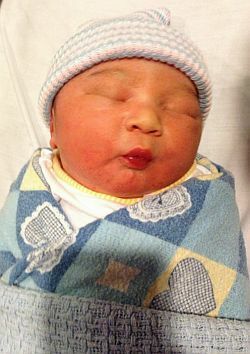 The bundle of joy weighed 3.4kg. Just as I like going out to have a good time, I have no qualms about staying at home during weekends. The Internet connection and/or a good book can keep me happy to no end. You can say I am a homebody, sort of..
What about you? Take the quiz to find out. You believe it's important to take good care of yourself, and your home probably reflects your healthy lifestyle. You are likely to have a refrigerator full of fresh food and bookcase full of engaging books. You have a lot of fun in life, but your idea of fun is pretty unique. Working out and learning are fun for you. You could never feel at home in a sloppy or neglected house. You like to keep things upbeat and tidy. Last week's Quiz: How Rare is Your Personality? Provigil - ever heard of it? Not interested? Provigil has been nicknamed "Viagra for the brain." Now, are you interested? Provigil is a wake-promoting agent and is approved only for narcolepsy, sleep apnea or for people who work irregular hours, but among those who take it are many other healthy people taking it to boost energy and focus. If you are buying Provigil over the counter, you would need a doctor's prescription but nowadays with the advent of online-shopping, you can now buy Provigil online and at a lower price too. One such safe website that you can buy Provigil online is http://buyprovigilonlinenow.com. Though doctors admit they don't really know how Provigil works plus there have been no long-term studies of Provigil and its effects on healthy brains, people who are on this "wonder" drug are not giving it up anytime soon. Like most drugs, Provigil has its side effects too. The known side effects include sleep deprivation and potentially lethal rashes and worse. Provigil not only keeps one awake, it also boosts one's energy level. Imagine getting up at 5am in the morning, run a few miles, kept busy with an extremely tight schedule the entire day and still be as sharp and focussed late into the night as when you first started the day. All this is possible with Provigil which you can buy cheaper now at http://buyprovigilonlinenow.com. Provigil being a brain-enhancing drug improves cognitive skills as well. Taking Provigil can stretch your day, everyday, for that improved quality of life that many people are experiencing at the moment. Being able to buy it online (http://buyprovigilonlinenow.com) is making thousands of people happy and zesty. Many are keeping it a secret too but now you know. Boy, was I glad to be home early yesterday. From indoors, I could see the tree branches swaying back and forth from the beating of the storm. Lightning strikes in quick succession and the wind howling outside had me being thankful that I was not on the road caught in that awful weather nor having to contend with the traffic snarl. 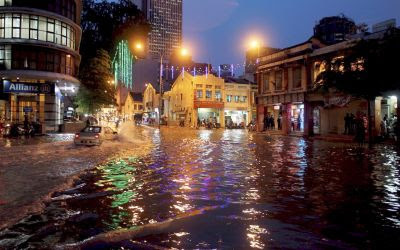 Traffic in many parts of Kuala Lumpur was chaotic yesterday after that thunderstorm that caused flash floods along major roads including Jalan Tun Razak, Jalan Parlimen, Jalan Duta, Jalan Pudu, Jalan Cheras Lama, Jalan Chan Sow Lin and Jalan Segambut being affected. 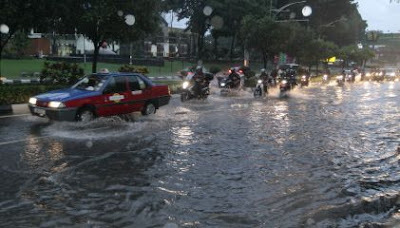 This shows Jalan Ampang inundated though I can't quite tell the exact location. My guess is it is at the end of Jalan Ampang near Chinatown as you can see the pre-war rows of shops in the centre and right. Anyone? This one is along Jalan Tun Razak, the road that has a few prominent buildings including the National Heart Institute, the National Library and the National Cultural Centre/National Theatre. The red-and-blue vehicle upfront is one among the many different coloured-taxis we have here. Malaysian taxis come in a variety of colours including red-and-blue, like the one in the picture, lime green, blue, yellow, red-and-white, orange and a few others. All this weather havoc happened from 5:30pm onwards as people were getting ready to finish work to head on home. Were you caught in all this? Today is set for yet another overcast day just as what the Malaysian Met Department's seven-day forecast predicted: rain is expected again today. No matter, have a wonderful day ahead, rain or shine! Psst.. just be wise enough to have a brolly (umbrella) with you. It pays to be prepared, remember? I am not a karaoke person, not because I can't sing, (ahem!) but the other day I went along to a karaoke session at a friend's home. She does have a very good karaoke set, I have to say, but unfortunately in the middle of it, one of the mics broke or rather quit on us. See the importance of a good piece of equipment or gadget? I wonder if she would go for the sm57 which I told her about. Not sure if it is compatible with her karaoke set. The website says it is a reliable workhorse onstage and in the studio. Maybe I will forward her the site. If you are interested, the Shure SM57 is one of the most popular professional instrument microphones of all time. The dynamic SM57 mic performs reliably delivering natural sound night after night. Its durable, bulletproof design stands up to road travel and abuse. Perfectly at home in the studio too. For the technically-literate, the Shure SM57 boasts wide frequency response (40Hz-15kHz) and a tight cardioid polar pattern that are ideal for close-in speaker miking. I suppose all these apply more for studio recording, but you never know till you find out. It receives good reviews too. Here is how it looks like..
Tributes continue to be paid at home and abroad to Baroness Thatcher after her death at the age of 87. David Cameron said she had been a "great Briton" while US President Barack Obama called her a "great champion of freedom and liberty". 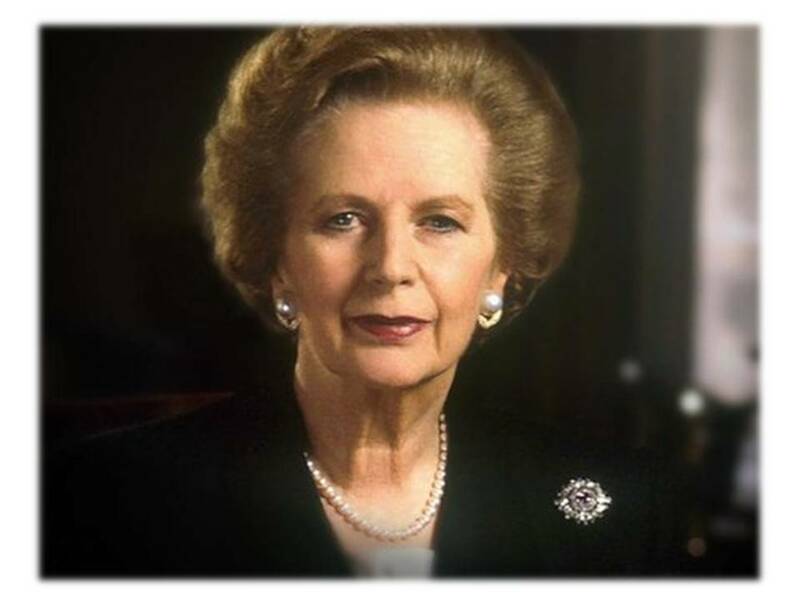 The funeral of the former prime minister is expected to be held next week. Lady Thatcher, Britain's first female premier, was Conservative prime minister from 1979 to 1990 and won three successive general elections. She died "peacefully" after suffering a stroke while staying at the Ritz hotel in central London. The union jack above Number 10 Downing Street has been lowered to half-mast while Parliament will be recalled from its Easter recess on Wednesday to enable MPs to pay tributes. Read more..
KUALA LUMPUR: A 23-year-old Universiti Malaya student will challenge Prime Minister Datuk Seri Najib Tun Razak for the Pekan parliamentary seat in the 13th general election. KUALA LUMPUR: Controversial blogger Papa Gomo will be taking on Opposition leader Datuk Seri Anwar Ibrahim for the Permatang Pauh parliamentary seat in the general election, said his representative Mohamad Rafi Awang Kechik. PETALING JAYA: Outgoing Seri Setia assemblyman Nik Nazmi Nik Ahmad has criticised a video featuring him allegedly neglecting the welfare of his constituents, saying it was “maliciously edited”. There is plenty more where these came from. At breakfast this morning, the topic was whether we should start stocking up our pantry just in case. The coming GE13 is said to be the mother of all elections. We are not being negative but let's face it, anything could happen and better to be safe than sorry, right? To be prepared is always a good motto. No? Anyone visiting Malaysia right now would know that we are heating up for the next general election, the much-awaited GE13. The question is WHEN. Political party flags, banners and buntings are all flying purposefully in the wind. All of a sudden even tall trees have sprouted flags. Yes, election fever is everywhere. Parliament was dissolved last Wednesday which gives a 60-day period for elections to be held. Most, if not all, of us would already by now have decided on who we will be voting for. Whichever party you are giving your vote to, do it with your eyes wide open and know what you will be getting yourself into should your party win. A party's manifesto provides some clues as to what to expect. I have here the manifestos of both the opposition party, PR, and the ruling party, BN, for your information/comparison. Pakatan Rakyat (PR) or the People's Alliance is the opposition to the ruling Barisan Nasional (or National Front) at the federal level. PR currently controls four state governments. 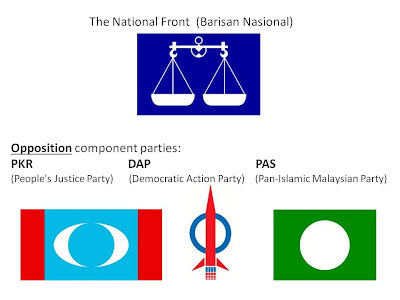 The political coalition was formed by the People's Justice Party (PKR), Democratic Action Party (DAP), and Pan-Malaysian Islamic Party (PAS) on April 1, 2008, after the 12th Malaysian general election. Reform Islamic and religious institutions. Clean, fair and transparent elections. Reform the judiciary, Attorney General's Chambers, MACC and PDRM. Abolish legislation that is "anti-rakyat"
Corruption Elimination Policy (DEBARAN) - restructure the MACC to focus on big corruption cases that involve the public interest, tighten corruption-related legislation. 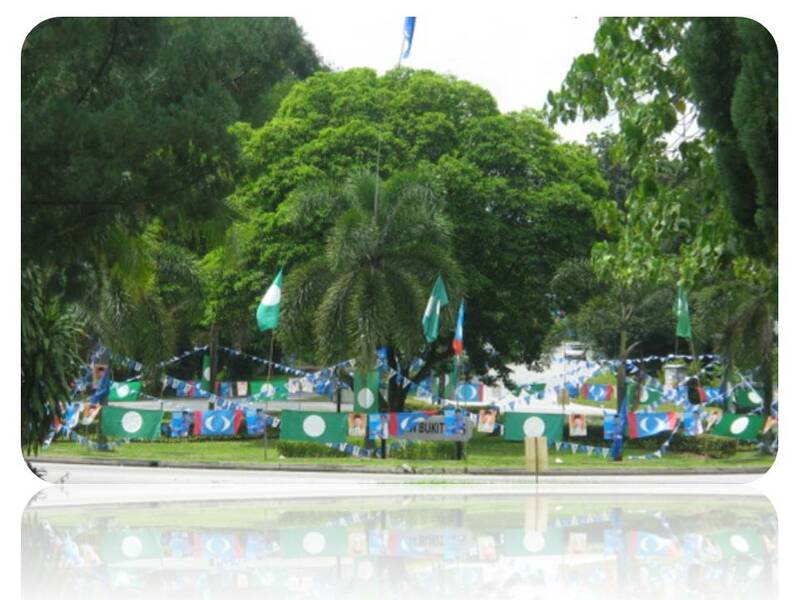 For details of the BN manifesto, visit Barisan National Manifesto. Meanwhile, News.Yahoo! 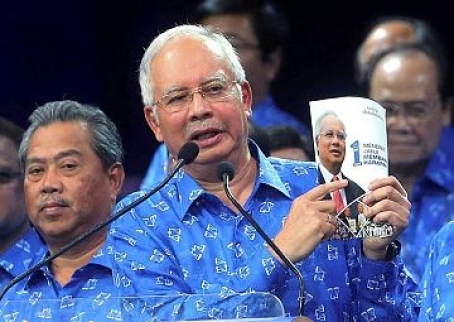 reported yesterday that Pakatan Rakyat (PR) leaders accused Barisan Nasional (BN) of copying from their election manifesto that was launched more than a month ago, and added that the ruling pact’s promises of more cash handouts would not fix flaws in the country’s system. Friday Frolics - How Rare is Your Personality?